Making Your Home a Haven: Good things to Eat! This week’s assignment over at Women Living Well is to focus on the kitchen and good things to eat, as well as sharing love, goodness and faithfulness with your family. This past week we celebrated my husband’s birthday, and of course, I had to make him all his favorites to eat. We started the morning with my Chocolate Chip Scones, drove to Cracker Barrel for lunch, then had what I call “football snacks” for dinner (basically just chips, dips, chicken wings, etc….my husband loves this kind of snacky food that he can munch on while watching the game). I made him a Coca Cola cake for his birthday cake…he loves to drink Coke and eat chocolate cake, so it seemed the perfect cake for him. 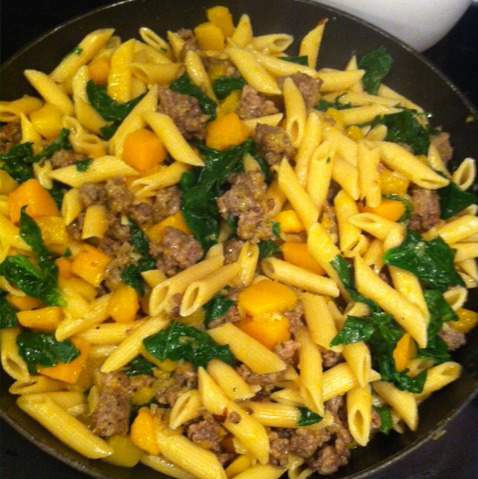 This is the very yummy butternut squash sausage skillet from this week’s Menu Plan Monday. I used Italian pork sausage instead of the chicken sausage that the recipe called for, and it turned out wonderfully. Better yet, there was only one pan to clean, and I was able to stick 2 veggies from the CSA into one meal. Score for mom! Later today I’m going to turn some very ripe bananas into my son’s favorite Chocolate Chip Banana Bread and will have it waiting for him as an after-school snack today. He just adores banana bread and could probably eat one entire loaf by himself. Some of our other Fall family favorites are Pumpkin Chocolate Chip Muffins, cinnamon rolls, Loaded Mashed Potato Soup, and Turkey Corn Chili (which is my go-to recipe for Thanksgiving leftovers). 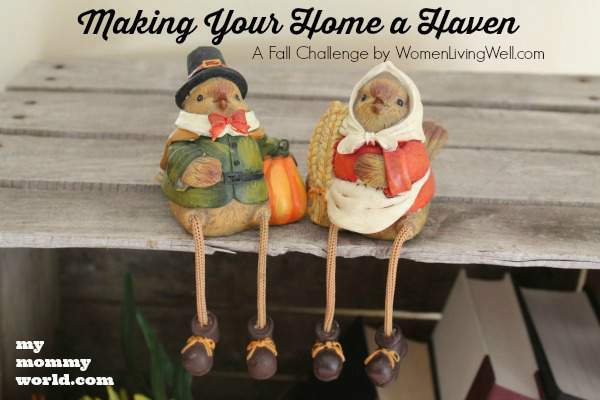 I hope you’ve enjoyed this Making Your Home a Haven challenge as much as I have. To see other posts in this series, head over to my Making Your Home a Haven page, where you will find my other posts from this year and previous years. 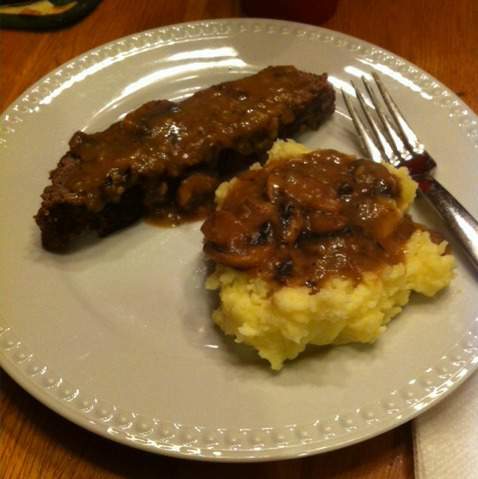 What are some of your family’s favorite things to eat? So much yummy food! You’re making me hungry, Erin! 🙂 It’s been fun to read your Making Your Home a Haven posts. Perhaps I’ll join in next year! I wish I could invite you over for dinner! This week I did some baking and made lots of pumpkin goodies. Our house smelled so good. I’ve got one pumpkin left to baked up for our pumpkin pie for Thanksgiving and maybe some more chocolate chip pumpkin bread too. I always love your Making your Home a Haven series each year.